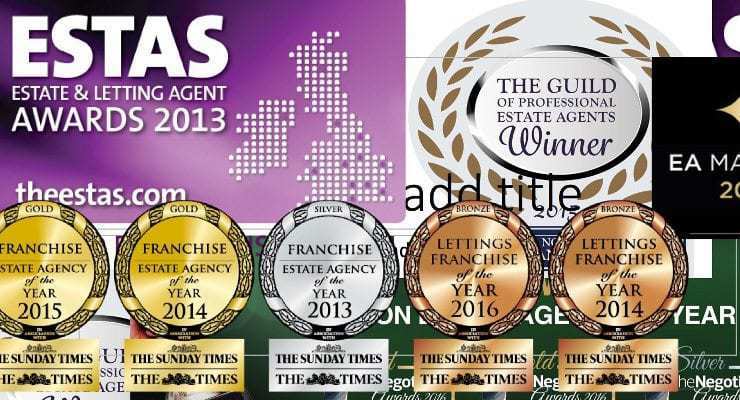 Are there too many Awards in UK Estate Agency? I have always been a little sceptical of estate agency awards. To start with, there are so many of them …The Sunday Times Awards, The ESTA’s, The UK Property Awards, The Negotiators, All-Agents Awards, British Property Awards, Best Medium Sized North London Estate Agent in the NW postcode Award, the Medal from your Mum for being the No.8 lister in your town awards .. the list quite literally goes on. Some awards require the agent pay huge fees to enter, then you have to fill in a form and if you are shortlisted, you get a telephone interview by fellow leading lights in the EA industry. Other awards are free to enter, but you are expected to send out a questionnaire to your favourite landlords and tenants (don’t worry – your only favourites) and the agent that manages to persuade the most of those landlords and tenants to reply, with the most number of positive reviews wins …easy! I have even heard there is one UK award where they ring you to say you have won…(and now you need to pay them to display the fact) and if you won’t pay – quite mysteriously – your competitor down the road “wins” the award a few weeks later ..funny that eh?? and completely free of charge, you and your agency appears in the Best Estate Agent Guide with your contact details, which will be promoted as a whole, at no cost to you on Rightmove and SEO optimised to an inch of it’s life to come up on lots of relevant search terms around the UK. You don’t even have to go to the EA Masters evening Ceremony if you don’t want to .. whether you are a winner or not (although looking at the speakers and exhibitors, the Conference before the Ceremony is certainly worth going along to). If your whole marketing is going to solely based on ..”We are in this book” .. well, you might be disappointed, but add it to a complete holistic marketing approach, being subtle and I think it, at the free val … I believe it will get you over the line for the signed sole agency agreement more times than you think! Are Apps Taking Over Automotive Business Practices and Customer Services?